Live video is increasingly becoming a priority for marketers, with 94.8% of marketers stating that live video will be an important part of their 2018 marketing mix. About 25% stated that live content will be a top priority, edging out pre-recorded video. This was according to a study titled “2018 Live Video Streaming Benchmark Report” by IBM and Brandlive, which surveyed over 200 employees. Despite the importance of the platform, Twitter recently decided to cut its live-video team and merge it under content partnerships. A spokesperson told Marketing that it is taking steps to “streamline” the organisation to enable “increased efficiency” worldwide. This is in order to boost the positive momentum that its global content partnerships team has brought about. During its first quarter investors call this year, Ned Segal, CFO, Twitter, said that videos account for more than half of its ad revenue, which garnered US$575 million during the quarter ended 25 April 2018. Segal added it is looking into a few aspects to boost video ad revenue, such as improving ad relevance, showing more compelling video ads and improving the advertisers experience that enables them to easily buy ads on Twitter. The latest move indicates that Twitter will focus on video as a whole, rather than just on live videos alone, Yuval Ben-Itzhak, CEO at Socialbakers, said in a statement to A+M. According to him, unlike native video, live video does not have a “clear and well-performing” monetisation method. “While the organic live video content performs very well, it is currently much more challenging to monetise it at scale,” Ben-Itzhak said. As such, he said that it is “without a doubt” that establishing more global content partnerships to support the growth of video will be a positive move for Twitter. Ben-Itzhak added that the “broader reorganisation” at Twitter, as reported by Bloomberg, will help Twitter ensure it is bringing the best selection of content to the platform, while helping partners to derive more business value from the content to post on Twitter. Thus, delivering a consistent video content offering to users. 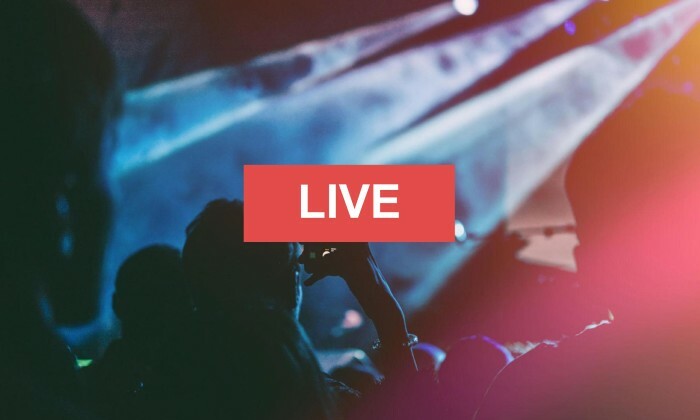 Even so, Ben-Itzhak said live video will remain core to Twitter’s business, since the company has taken initiatives to ramp up efforts in the area through the introduction of several live video features, including the re-sharing of live video broadcast and Timestamps. Timestamps allows users to Tweet a live or replay video starting from the exact moment they want to discuss. Meanwhile, Johanan Sen, head of strategy, dentsu X Singapore, said that live videos rarely exist on their own and often form a part of a larger strategy the agency has for its clients. “Driving traffic to a live event and ensuring a long tail that offers value beyond a single stream, requires a content ecosystem play that can deliver sustained engagement with an audience. Twitter’s move this week could be their recognition of that,” Sen said. Nonetheless, he said that it would be good to see Twitter express a “consistent vision” for its product roadmap, especially as it relates to partnerships, should they want to see continued investment by brands on their platform. Video is rising as the most important format in the digital world and for that reason, should not be a standalone feature, but part of a broader strategy. “The removal of this silo within Twitter is definitely a positive move provided it enables the business to have broader conversations with clients,” Gomez said. He added that integrating video and live video into content partnerships will bring “the best synergistic approach” and “most powerful” strategy to advertisers. Marketers should focus on delivering integrated content across all channels. Quoting Kantar’s recent global AdReaction study, Gomez said that integrated campaigns are 31% more effective at building brands and that marketers can integrate across ads in a variety of ways. Consumers feel bombarded with content coming at them from more places than ever before. Hence, marketers need to avoid the pitfalls of fragmentation and deliver integrated campaigns. Benefit Cosmetics has launched a two-week guerrilla advertising campaign called the Honest Cruisers as part of its branding exposu..